Albany Molecular Research Inc. (AMRI) @ ChemBuyersGuide.com, Inc.
AMRI, a global contract research and manufacturing organization, partners with the pharmaceutical and biotechnology industries to improve patient outcomes and quality of life. 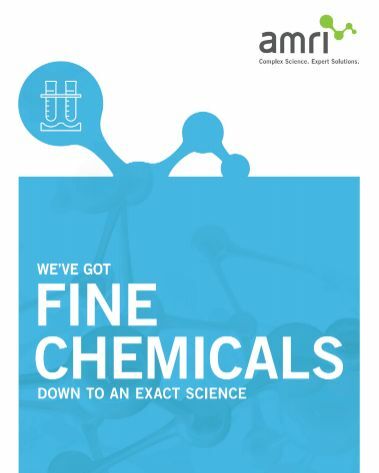 With locations in North America, Europe and Asia, AMRI�s team combines scientific expertise and market-leading technology to provide a complete suite of solutions in Discovery, Development, Analytical Services, API Manufacturing and Drug Product. We�ve got it down to an exact science.